Please join us for our browser series of webinars which starts this week. See all the details below! If you attend this webinar, you'll learn lots about the Firefox browser - from basics to advanced "tricks of the trade." Sign up by clicking on the "Register" button below. Pretty much the most popular browser right now, there's still lots to learn about Google Chrome. Join us for this webinar and get some great tips for making the most out of Chrome. Sign up by clicking the "Click Here" button below. 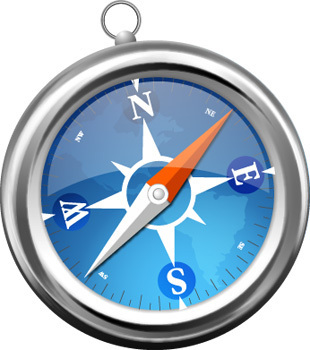 Safari - the Apple browser! In this webinar, you'll learn lots about using the browser which has been a staple in the Apple store for many, many years. Register now by clicking the "I Want To Sign Up" button below. Question: "How do I copy the files from a USB Flash Drive to another USB Flash Drive?" Answer: We're delighted that we were asked this question! Copying one flash drive to another is actually very easy. We have created a video that shows you exactly how to do this! You will find the video on our YouTube page (Why not subscribe to our YouTube channel while you're there?) and on our Windows 10 Video page. Just click on the appropriate button! Have a geek in your family? Are you a geek yourself? Here's a great place to get those geek accessories! Just click on the banner and see what they have!